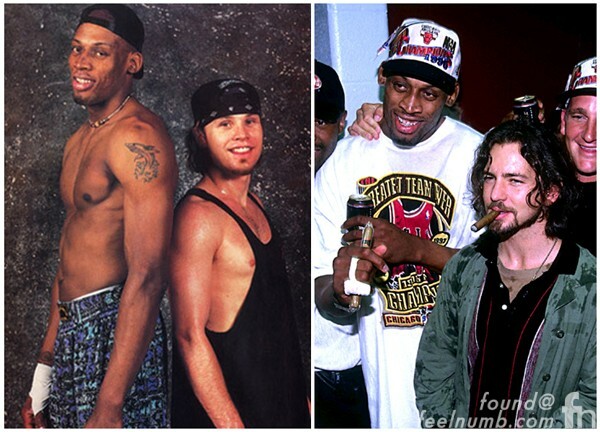 Longtime NBA fans Pearl Jam and Chicago sports fanatic Eddie Vedder have long been friends with former basketball player Dennis Rodman. Throughout the years Rodman has frequently jumped up on-stage with the band and has hoisted Vedder on his shoulders. 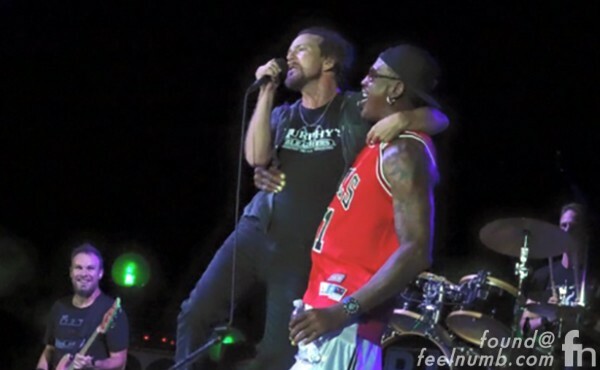 Recently, Rodman complete with his Chicago Bulls #91 jersey joined the band on-stage for their August 22, 2016 concert at Chicago’s historic Wrigley Field where he once again carried Vedder in his arms. 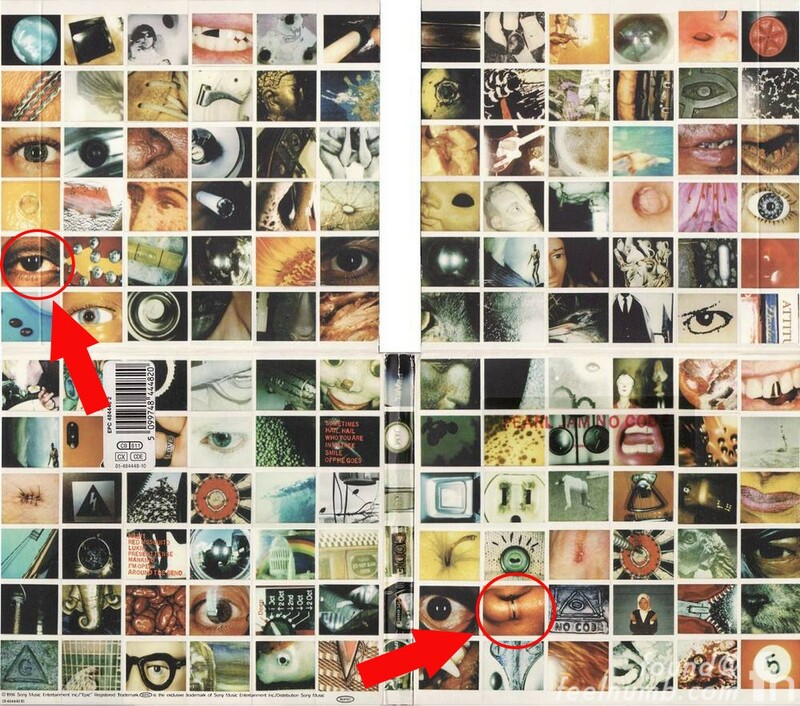 The man crushing is mutual, when Pearl Jam released the album “No Code” on August 27, 1996 the artwork consisted of 56 Polaroid photos that unfold into a 2×2 square to create a Hidden Eye Logo. Of those 56 Polaroids 2 are of Rodman, one of his eye and one of his nostril and nose ring. Vedder must have really been in heaven playing on the hallowed grounds of his favorite team the Chicago Cubs. 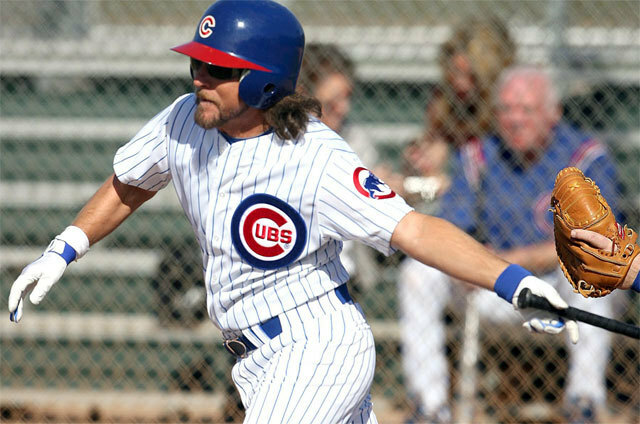 Vedder attends games regularly, has thrown out first pitches, has sang take me out to the ballgame and even attended Cubs fantasy camp in 2011. Check him out in action by clicking the photo or link below.